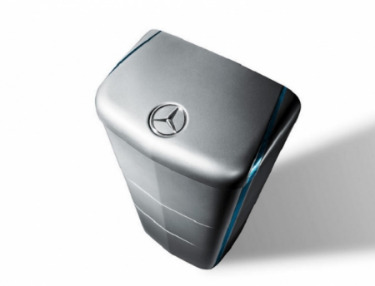 Mercedes Benz and its parent company, Daimler, announced that they will be releasing power packs for residential and small business use. Accumotive, a subsidiary of Daimler, will develop the battery from other lithium-ion battery systems they have designed for their electric and hybrid cars. Since 2012, Accumotive has manufactured high-capacity battery systems for industrial applications. Initially, the batteries will only be available in Germany, but Daimler said they have plans to gradually expand throughout Europe and to the United States.